THOMAS FLIPPIN is established as an original and versatile voice in the world of contemporary music. Whether premiering new works with his pioneering classical guitar ensemble, Duo Noire; performing avant-garde art songs on the theorbo as part of Alicia Hall Moran’s Black Wall Street; or plucking the banjo in the American Repertory Theater’s critically-acclaimed premiere of The Black Clown, Flippin’s playing has been hailed as "lovely" (New York Times), and "spectacularly precise" (St. Louis Post-Dispatch). 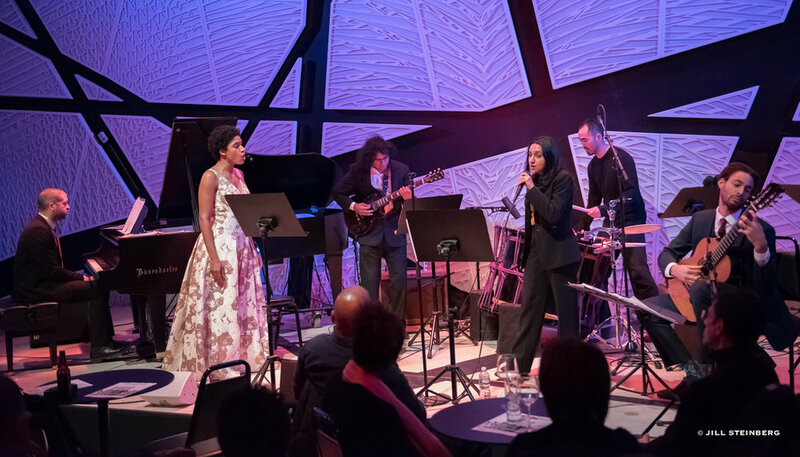 Recent concert highlights include performances at Carnegie Hall, National Sawdust, The Metropolitan Museum, Beijing’s Peking University, the Art Institute of Chicago, and Charleston's Colour of Music Festival. Flippin has performed in concerts featuring MacArthur Fellow Jason Moran, Renee Fleming, Imani Winds, and members of Eighth Blackbird and the Emerson String Quartet, as well as a solo performance honoring the president of Juilliard. Flippin's recent album on New Focus Recordings, Night Triptych, is the culmination of the 2015 project he launched with the Diller Quaile School of Music to address the lack of female representation in classical music. Featuring new works exclusively by leading women composers, Night Triptych received universal praise from critics for being a "truly pathbreaking recording" (AllMusic), that is "astounding" for its "sheer musicality" and "goldmine of ideas and feelings” (Stereophile). Flippin graduated with honors from the University of Chicago before attending the Yale School of Music (M.M., A.D.), where he was the first African-American guitar major in the school's history. He is currently on faculty at Concordia College Conservatory and the Diller Quaile School of Music. His primary teachers were Benjamin Verdery, Denis Azabagic, and Dr. Julie Goldberg. When he's not practicing, he enjoys mountaineering. 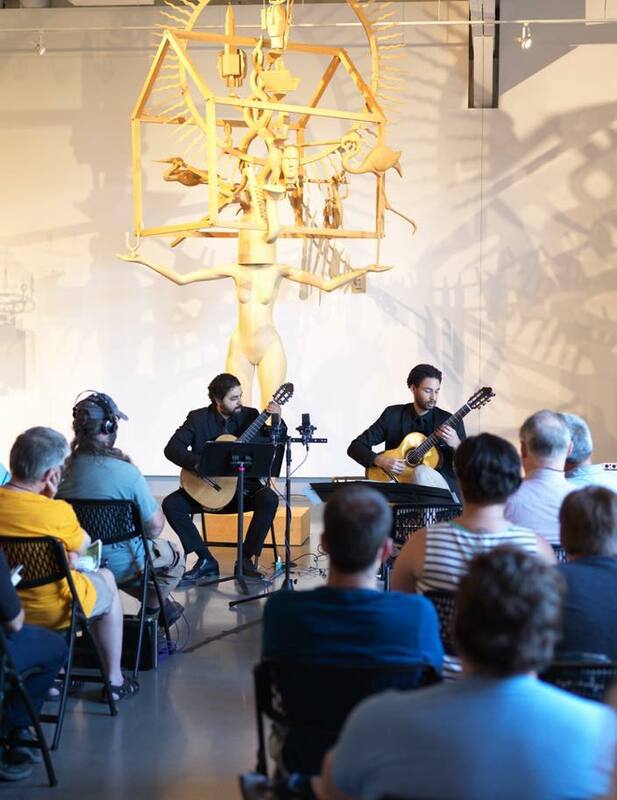 Both acclaimed soloists who have performed around the world, Duo Noire fuses the classical guitar talents of Thomas Flippin & Christopher Mallett to make new arrangements of uncommon repertoire and commission some of the leading composers of their generation. Their 2018 album "Night Triptych" was released to great acclaim on New Focus Recordings and featured premiere recordings of works by women: GRAMMY-nominee Clarice Assad, Courtney Bryan, E.C.M Artist Golfam Khayam, Mary Kouyoumdjian, Gity Razaz, and Gabriella Smith. It's the culmination of their 2015 "Women of Guitar Commissioning Project" to make guitar repertoire more gender inclusive. The spiritual successor to Alicia Hall Moran's critically acclaimed Motown Project, of which Flippin was an original member, Black Wall Street is the musical exploration of race, class, and their connections from the 1921 race riots in Tulsa Oklahoma's Black Wall St. district to the modern day. Black Wall St. fuses jazz, blues and classical music in remarkable ways and with an array of first-rate musicians: Jason Moran (piano), Brandon Ross (electric gtr), Gene Peters (Historian), and more. One of the top musical outreach programs in the United States, Flippin has worked with the Bridge Arts Ensemble (B.A.E.) since 2015. BAE has a roster of world-class NYC instrumentalists and musical theater performers who form into teams and visit schools in upstate NY; providing concerts, masterclasses, and lectures to thousands of students each year.